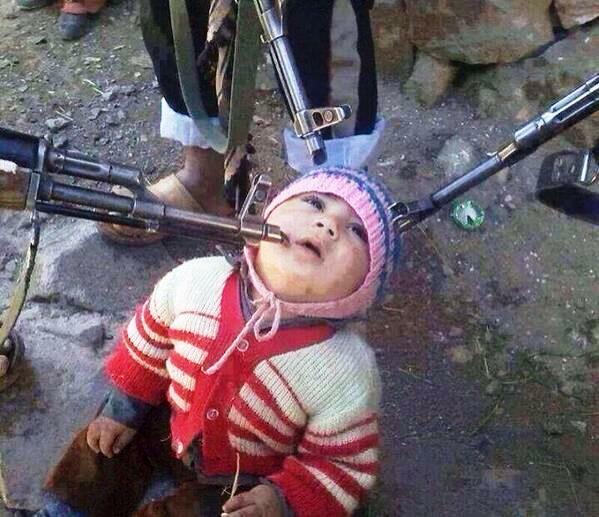 Jihadists posted this photo this weekend of “our youngest hostage” in Kessab, a predominantly Christian town, in Syria. Kessab is a predominantly Christian Armenian village in Syria near the Turkish border. Earlier it was invaded by jihadis, who terrorized, pillaged churches, and prompted some 2000 residents to flee. Initial reports had stated that about a dozen families remained as hostages.